Alas we come to the final installment of this 5-part series. Last but not least, let’s install WordPress on our private USB-based LAMP server. And in case you just joined us, here is a link to the first part, which also provides references to all the other pieces to this puzzle. WordPress is the most widely used Content Management System (CMS) used today. As of April, 2016, 22% of all new website use WordPress. With all the options available today, that is impressive market penetration! Simply replace your existing save file with this one and you will be 99% complete with a web server that supports both php and mySQL server. Here it is. Step 1: Installing the WordPress Package. Start the USB installed Precision Puppy Linux from part 4. Then launch the Puppy Package Manager. In the search window (Find), enter “wordpress” and search all repositories. Select wordpress_3.3.1 (or higher revision if available). Now close and restart the Puppy Package Manager. In the search window (Find), enter “php5-gd” and search all repositories. and continue to the next step. Otherwise, click “Examine dependencies” and “Download and install selected packages”. 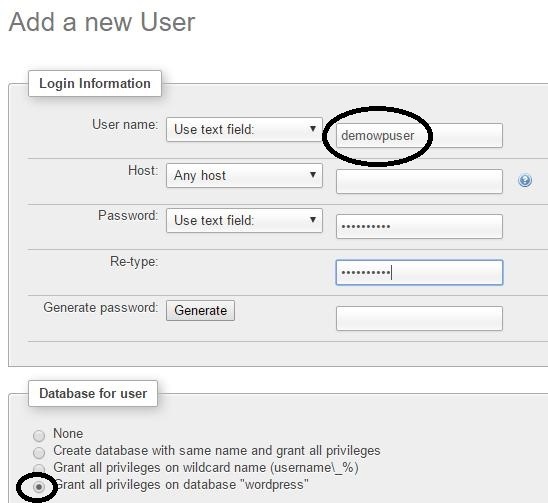 Step 2: Create a WordPress Database and user in mySQL. Start the mySQL server and open 2 console windows. 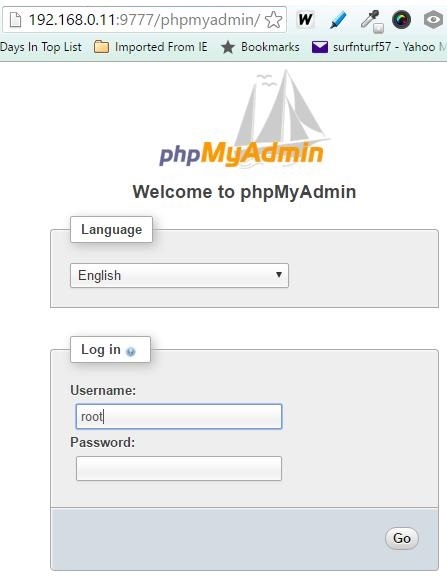 Use the Username “root” with no password and click “Go” to enter phpMyAdmin, the mySQL database administration tool installed in part 4 of this series of USB LAMP server articles. From the page that is now displayed, click on the databases tab. The new database will appear in the list of databases. We are now going to link a user to this database. Click “Check Privileges”. Then click “Add a new user”. Enter “demowpuser” in the “User name”, “Password”, and “Re-type” fields. Then click “Go” at the bottom of this page. This demo WordPress database setup is now complete. Step 3: Get the WordPress files. Open the Puppy Linux Web Browser by clicking on the “browse” icon on the desktop. Then got to the URL: https:/wordpress.org/download. Save the zip file to “/mnt/home”. Using the Pupply Linux file Manager (Menu>Filesystem>ROX-Filer file manager), navigate to “/mnt/home” and click on the WordPress zip file that was downloaded. 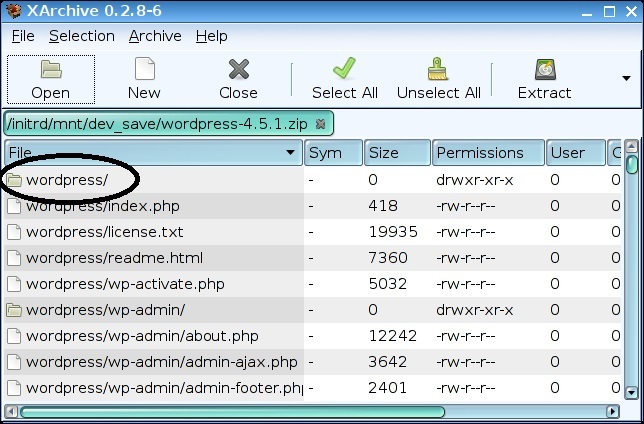 Right-click on the “wordpress” folder and select “Extract”. Enter “/var/www” as the “Directory to extract to”. Using the ROX-Filer file manager, navigate to “/var/www/wordpress”. Open the file “wp-config-sample.php” (right-click on it and select “Open as Text”). Now a web-browser on your network. Congratulations, if you made it this far, your LAMP WordPress installation is successfully completed! 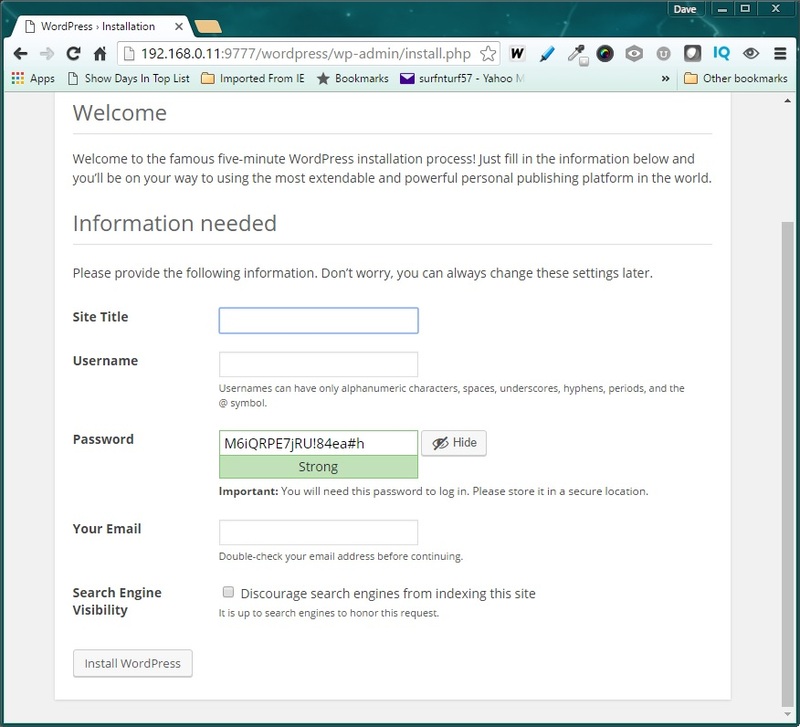 After filling out the form and clicking “Install WordPress”, you should receive a “Success! Prompt, indicating the installation is finished. Click “Login” to open the WordPress Login page. From here, you can perform any and all of the actions the WordPress content management system offers. Like picking a theme, adding plug-ins, writing and posting blog entries, etc. For more information, just look on-line at wordpress.org or the wealth of information available through a google search. Here is a great place to start. That’s it! If you have completed all 5 parts of this series, you now have a solid server platform to work from. What is great about this setup is that it is portable. Allowing you to run it anywhere, on any i386 computer.